"This is the story of how I died." No, this post isn't about Rose Tyler or The Battle of Canary Warf. Sorry, Fellow Whovians, but this story has a happy ending. 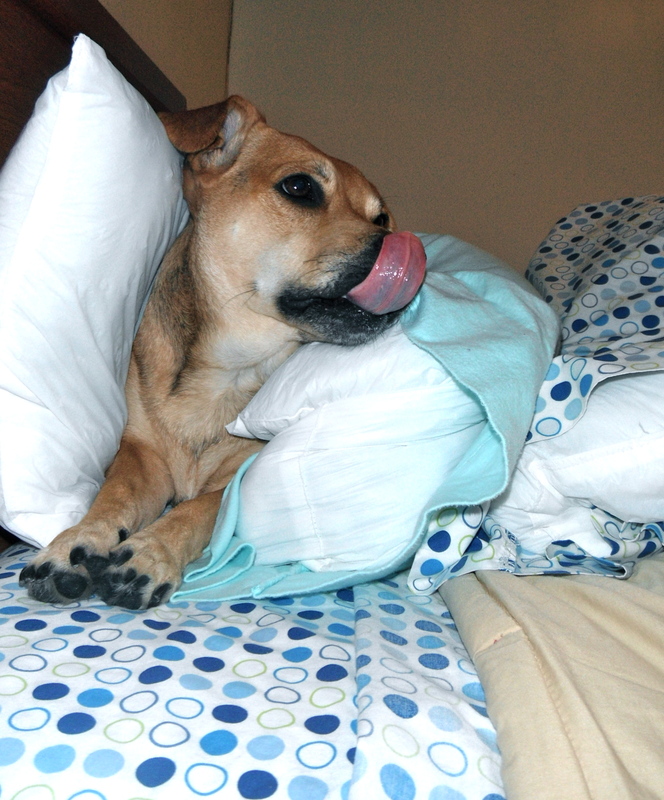 There are no alternate universes and definitely no Bad Wolf--there is a cute, white dog, though. 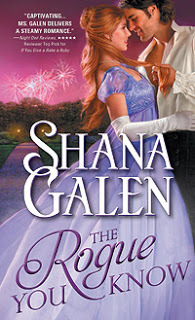 I have just finished reading the second book of Shana Galen's Covent Garden Cubs series, which was released just last week and was supplied to me by Netgalley and Sourcebooks (in return for an honest review). Obviously, if you read my review for the first book of the series, you know that I read this book extremely quickly and can ascertain how much I liked it (at least, I hope you can). For those that are unfamiliar with the series, here's a quick recap: The Covent Garden Series follows the Derring family and the members of the Covent Garden Cubs, a gang of thieves in Pre-Victorian London (I'm not sure if this takes place during or after the Regency Period and I have ruled out Victorian because the heroine's wedding dress is pink and not white). In the first book, Sir Brook Derring discovers that Marlowe, a member of the Covent Garden Cubs, is actually Lady Elizabeth, who falls for Brook's brother, Lord Dane. In The Rogue You Know, we find ourselves back in the Derring household, except this time our heroine is Lady Susanna Derring and all she wants is to have an adventure. She wants to get away from her mother's suffocating presence and do something fun. Enter Gideon Harrow, former member of the Cubs and friend to Susanna's new sister-in-law. Gideon shows up at Derring House, hoping Marlowe could help him escape from Beezle, the head of the Cubs, who has placed a price on Gideon's head. Instead of finding Marlowe, he stumbles upon Susanna and is forced into taking her to Vauxhall Gardens, where Susanna believes she'll find the man her mother loved once upon a time. Thus begins an adventure of a lifetime, taking them through the dangerous streets of Seven Dials and St. Giles and propelling them headlong into love. I really did enjoy this book; it was light, fun, and so fast a read that I wasn't even aware of the pages going by--one minute I was at 1% and the next, I was putting it down at 78%, so I could get some sleep (at nearly 3 AM; when I was in elementary school, the librarian told me that one day I would find the book that will keep me reading into the wee hours of the night. I guess these two books are the ones she meant). That said, The Rogue You Know isn't quite as good as Earls Just Want to Have Fun and I had a few issues with it as I read. First, I just don't buy a young, aristocratic woman being willing to runaway with a man she knows is a thief, even if she knows of him. Hell, I don't buy a young, aristocratic woman running away with an aristocratic man (unless they were heading for Gretna Green). I thought that Susanna was a little too impulsive and way too trusting for someone who grew up in the same house as her brothers. It just didn't make sense. Obviously, there needed to be a reason for Susanna to spend time with Gideon; I don't think this was the right tack to take. But I went with it. My second problem is with the ending of the book as it was fairly predictable. Maybe if I hadn't read the part about Gideon dying in the end, but I did, so I had a feeling this would end as it did. Also, it was way too easy of an ending. I wasn't at all worried that Susanna and Gideon wouldn't end up together despite the disparity of their social status. Susanna was going to get what she wanted come hell or high water. Next, I felt that the Dowager Countess of Dane (Susanna's mother) did a complete 180 from the beginning to the end of the book. Yes, she was supposed to change, but there wasn't enough of her story here for it to justify the change. One look at her former love and she was throwing away everything she'd believed in for nearly 50 years. All without blinking an eye. I don't know anyone who changes that swiftly and if I did, I would be worried about their mental health. Finally, this one didn't hit me in the feels quite like the first book did. I knew that Gideon and Susanna loved each other, but for Gideon's part, I thought he was too contained, too protective of his own heart. I understand why he would be this way, coming from the world in which he spent his entire life, but I was just hoping for something more. Like I said, I did like this book and none of this could take anything away from all the things I enjoyed. For one, there was Galen's writing. She has a way of making me laugh out loud (thankfully, I wasn't on public transportation while reading this). The thing that I liked the most about this book was the dog, Beauty, probably because she reminded me of my family's dog, aka Miss Mia, aka Mimi, aka Mima--yes, she has a lot of nicknames. By physical appearance, Beauty is nothing like Mia, but I swear Ms. Galen was peeking into my grandmother's house and spying on Mia so she could immortalize her as Beauty. These two dogs have very similar personalities and I swear that if Beauty was real, she would be a part of Mia's gang (so long as she was small--Mia is afraid of dogs bigger than she is). I really wish I could give this book 5 stars, but I can't. The parts of the book that I didn't like, while not exactly taking away from what I like as a whole (hey, look! More Doctor Who--this time from Vincent and the Doctor), do not warrant so high a rating, and having reached the end of my review, I am still vacillating over how many stars it deserves. 3.5 is too low, but 4.0 is too high. I think I'm going to go out on a limb and give this a 3.75 Star rating. Oh no! I liked this book, but I see your points. I think what charmed me so much about this book was that it had elements of the Disney movie Tangled in it. Since I have had to watch that movie about a million times, it was fun to see the plot set in a historical romance novel. I really did like this book, which is why I got creative with my rating. It has been a really long time since I saw Tangled, despite loving Zachary Levi and Mandy Moore, so I probably wouldn't have noticed the same things that you did.